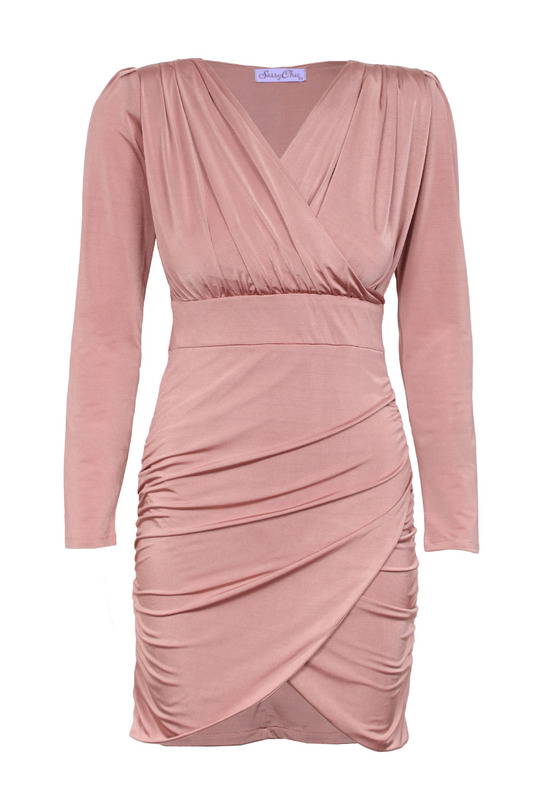 Dusty rose pink mini wrap dress with long sleeves, v-neckline and gorgeous ruched detail. 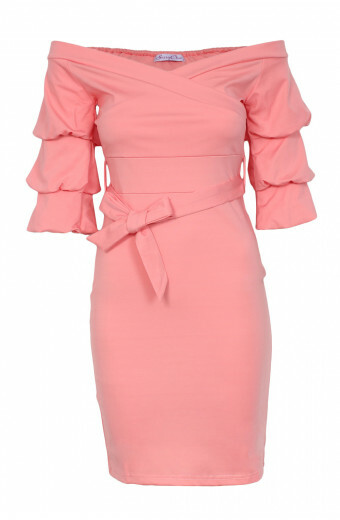 Dress offers bodycon fit and features shoulder pads. Fabric is shiny poly/spandex composition that offers a bit of stretch. 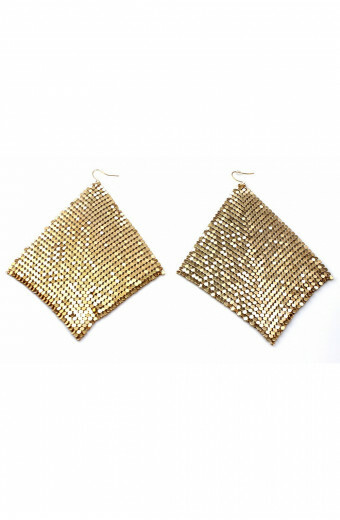 A glamorous and sultry piece that is perfect for special occasions, pair yours with strappy heels and some statement earrings for a night out. Fabric composition: 95% Poly / 5% Spandex. Measure your bust. To do this, wrap tape around your back and over the fullest part of your bust. Exhale when taking this measurement. Measure your waist. To do this, wrap tape around the smallest part of your waist, below your ribs and above your navel. Measure your hips. To do this, wrap tape around the fullest part of your hips, ensuring that tape touches your hipbone on both sides of the top of your leg, but not your buttocks. Compare measurements to relevant size chart to find your size. Tip: if your measurements fall between two sizes, it is always a good idea to go for the larger size.